When Doom was announced to be coming to the Switch in the latest Nintendo Direct, the fans of the platform were in shock. It is quite unusual for third party publishers to release games for Nintendo consoles without any strings attached. After a public outcry by disappointed fans wanting to be treated like they’re used to, Bethesda decided to adjust their release strategy. Some of the most active users on Twitter have already stated their outrage regarding this situation. In a short press conference, Bethesda’s own glorious leader Todd Howard spoke out on this issue himself. 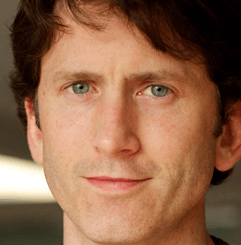 Todd stated that the reason Doom was even ported to the Nintendo Switch is to test the waters if Skyrim could be a success on the platform. He further elaborated with the following. This was too little of an explanation to the video game “journalists” present in the room, who further asked if there were more reasons for the sudden change in direction of the company. Todd replied as follows. The legend Todd Howard himself. After the journalists went and checked out the article themselves, they believed to found a mismatch; Bethesda was actually ranked at the top of the list. The reporters promptly attempted to correct Todd Howard, who quickly shot it down their response. While the “reporters” are clearly scrambling hard to write down all this information, some of them wondered on how difficult it could be to manage the distribution process if Skyrim were to be cancelled less than a week before its release. Todd Howard had a quick response ready. “Yes, you are absolutely right. Cancelling a game by the sales metrics of a game which will release just a week prior is a huge undertaking, but we have taken the necessary steps to make sure we are able to achieve this task. First, we need to measure the immediate sales metrics. With such a small timespan, all we really have to go on are the charts on the E-shop. If any one single indie game is higher than Doom I’ll tell you, Skyrim is cancelled right away! Next up is the handling of the already made physical copies of Skyrim on the Switch. We have set up a procedure that all shipment containers carrying the game will immediately be thrown overboard. With the current scarcity of consoles, we doubt that Nintendo has supplied enough Switch devices to the fish in the oceans; it is therefore unlikely that a marine life form will have both a Nintendo Switch and a copy of Skyrim. Maybe some sharks will get to play Skyrim on the Nintendo Switch. Astonished by the statements, the game “journalists” wondered about where Bethesda would put this large, now unsellable pile of games, but Todd already had an answer ready. “Gaming has a long history of dumping undesired games in landfills, which is precisely what we will do. 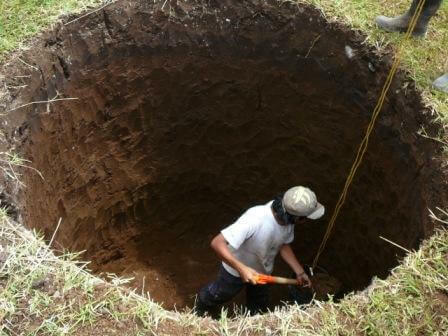 We definitely won’t tell you where we’ll bury the games though! The hole to dump the copies of the Switch version of Skyrim in is already being dug. What about you? 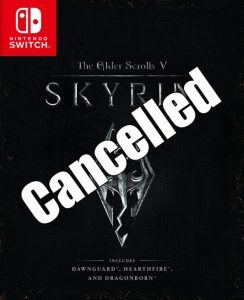 What do you think of the potential cancellation of Skyrim? Here at Red Value Gaming, we definitely believe that you should get Doom now if you want Skyrim to be released on the Switch. It is very important to buy the games of companies that demand you to buy them if you want to see more games made by them on your favourite platform rather than reward the companies that release their games without any strings attached. Overall, if you have your own thoughts whether satirical or not, let us know of them in the comments below. If you enjoyed this article, you might enjoy our guide on how to make Breath of the Wild boring as well! 1 Comment on "Breaking: Skyrim on Switch to be Cancelled if Doom Underperforms"